"Start each week with a sense of purpose and finish with a sense of accomplishment"
The program is delivered online and via a series of emails each week over 5 weeks. It combines a mix of video coaching, weekly reviews, activity sheets, advice and online resources. By the end of the program, you will have set your career and life goals set in place and have a plan in place and the tools necessary to ensure that you stay accountable. Anyone looking to achieve success! Before you start to plan it is always wise to review what you have achieved and where you want to go. In this preliminary activity we will reflect on the past 12 months and start thinking about the future. In this module you will look at setting your INTENT word for the year. Your intent word is the one word that will help you to easily make the right decisions to achieve success sooner. This module explains the importance of writing down your goals in order to bring your vision to fruition. You will set tangible goals to maximise your success. Wrapping it all together - What next? Now that you have your intent word and have set your goals don't and shouldn't stop there. Here we will look at some more options to stay accountable and ensure that you have the most successful year yet. After completing this challenge with Linda and finding out what my intent word was (Presence), I was easily able to focus more on my goals and make better decisions in life and my career. Every meeting I stepped into, I could focus on building my presence. Every opportunity that was presented to me I was able to ask myself if that particular opportunity was going to build my presence. If the answer was “no”, it was an easy decision for me to make and communicate. Previously, I felt obliged to jump at every opportunity ‘just in case’ it led somewhere. Using my intent word for every decision, I was able to take a step closer to where I wanted to be. After 5 months of following my goals and intent word I got the promotion I was looking for. Thank you Linda for this fabulous challenge. Linda's Set Yourself Up for Success was such a great way to start the year. Last year for me was all about finding my feet professionally after a year's maternity leave. I knew I wanted a clear picture of this coming year but sitting and thinking about it over the Christmas break didn't give me much clarity. The four week process meant it was a small commitment each week and not daunting at all. But the end result is very substantial and powerful. Highly recommended to any and everyone. The Success 28 Day Challenge is the perfect way to set up goals for a successful year. The videos, worksheets, and opportunities along the way to reach out with queries makes this so much more than an online program - it's personalised and accessible to all. I feel inspired and now have a clear pathway to achieving my goals for this year, using my intent word and monthly goals. Thank you, Linda, for developing a program that allows us to benefit from your coaching wisdom in the comfort of our own home (or office)! Thank you Linda for the opportunity to do the Set Yourself up for Success 28 Day Challenge. We are a construction company and are just 3 years old. Running without goal setting I learnt years ago while working for other company's is giving failure a chance and is what not to do. By Setting Goals I believe gives us a plan or road map of continual improvement and to bring us success and more happiness. The challenge wasn't too easy as it made us think and dig deep, which is what we needed, and we found the program asks the right questions to get all the ideas out and line them up on paper so we know what direction we are heading, almost like an Athena GPS. This program has set me up for a great 2016, I needed the help finding my direction and the structure to put it in place. You have a way about you that inspires and empowers me to want to be the best I can be. I thoroughly enjoyed the program, thank you Linda. Amazing journey Linda. Thank you so much for this opportunity to bring clarity into every aspect of my life! If you’re committed to the idea that for the next 12 months you WILL achieve success then partner with me in making the next year, a year that you will achieve everything you want! Linda’s talent is teaching women to increase their commercial success while using their authentic feminine approach. 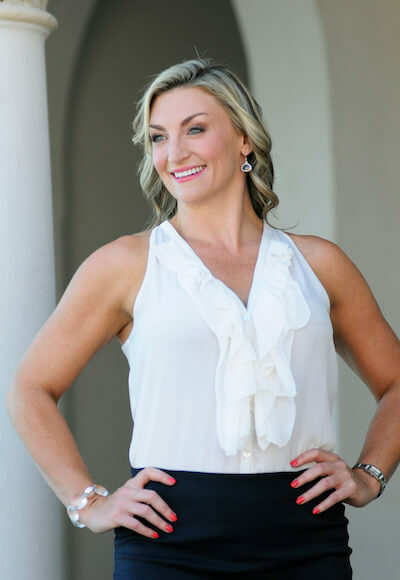 She mixes her personal experience in business, her strong academic background and her observations of hundreds of businesses to show businesswomen and female executives how to enjoy greater commercial outcomes and accelerated individual success. Linda has the unique ability to focus on both the big picture and the details; the numbers and the people; the sales and the administration; the left-brain and the right-brain. Linda has a track record in assisting women (and men) in business to identify the commercially profitable big picture strategy and then create an achievable action plan to implement it.